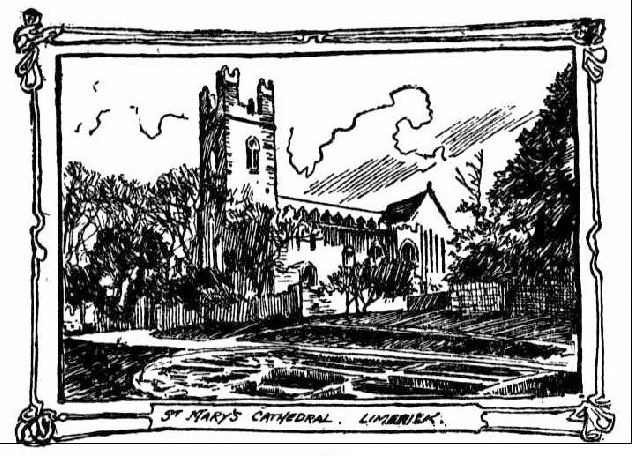 Limerick is a city of many churches, below is a catalogue of the many beautiful and historic churches that can be found. Included with each is a photo of the church along with a short history. Refer to the legend of abbreviations if you’re unsure of any meanings. St. Mary’s Cathedral, C. of I.
St. John’s Church, C. of I.
St. Michael’s Church, C. of I.
St Munchin’s, C. of I.
St. Saviour’s Dominican Church, R.C. Christ Church P. & M.
Presbyterian Churches, Henry Street P.
C. of I. = Church of Ireland.